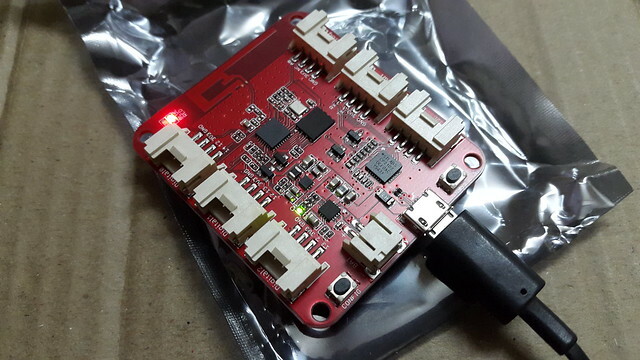 No programming required ESP8266 based grove compatible boards with on-board USB-Serial and Li-ion battery charger. 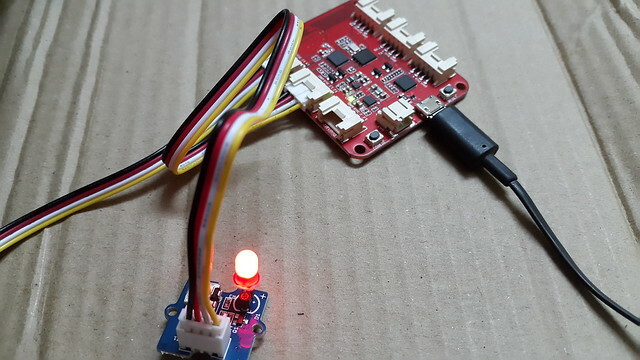 It essentially provides Grove sensors a Web API kind of look. 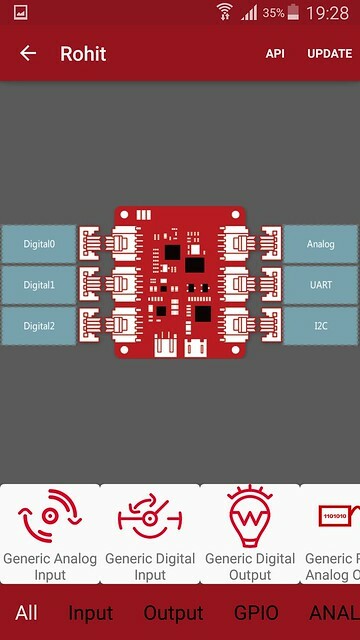 So you have these methods that are associated with various sensors/devices based on its functionality. 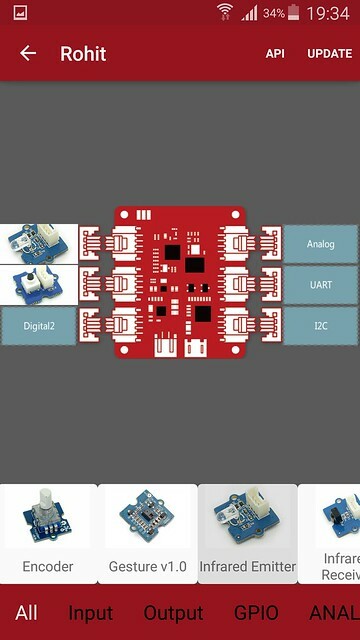 Like an LED will have ON/OFF methods etc and a switch will have its status and so on. 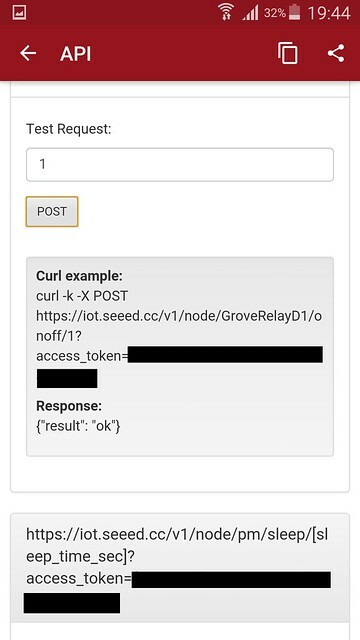 They can be programmed with an App which later provides you with API Endpoints to control the devices using basic HTTP urls in curl for example. 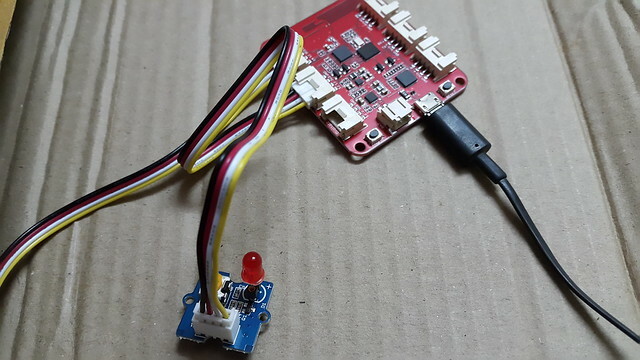 In this post, i walk you through the steps, just in case you got the Wio Link as well and we control an LED connected to the WIO link through the App itself. You start with downloading the app from the Playstore. The App starts with a sign-in process. Outside China, you have to choose the international server. Login and make an account. 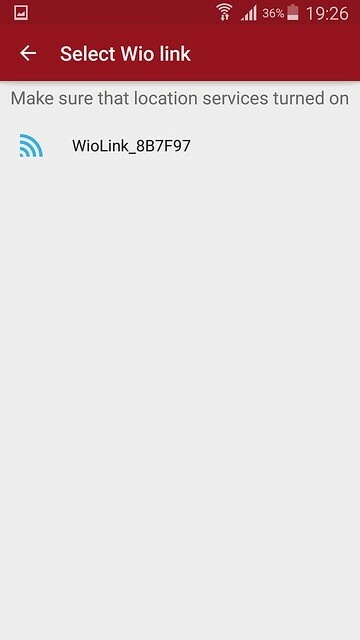 The app has a tour in which it asks you to press a button on the WioLink that basically turns the WioLink in an AP so, you can identify it and share the login credentials for your Wifi. 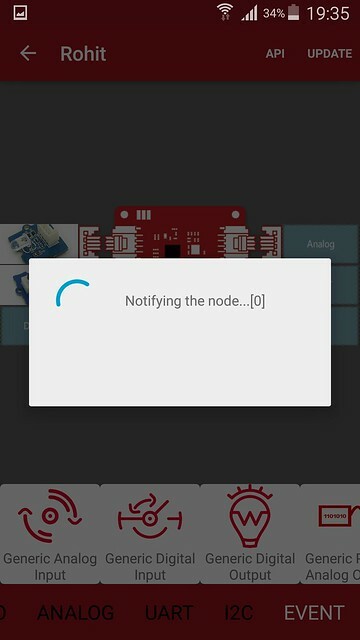 I got this error. Errors are good omens. 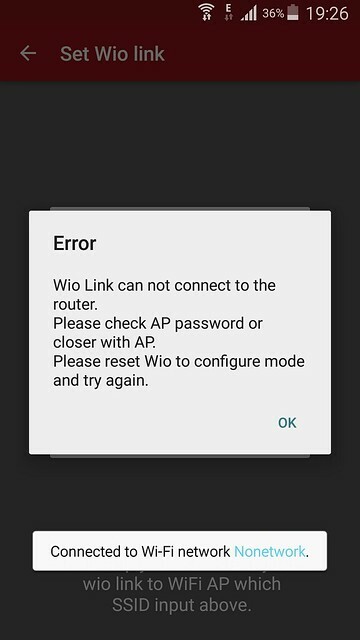 Retrying i saw the Wio Link. 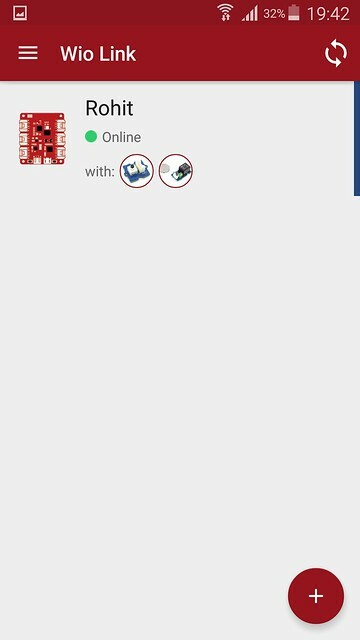 The App is not the best designed one for the purpose. It is not that user friendly and maybe Seeed will improve upon it. 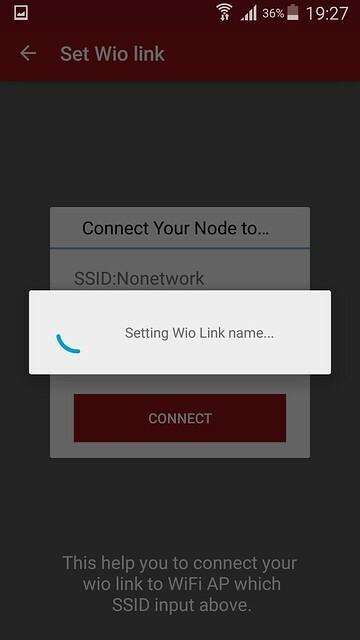 Next the App asks you to give the credentials to the Wifi that will be used by the Wio Link to talk. Once thats done. You get the Visual WioLink to Add Groves to. Now here’s a thing. 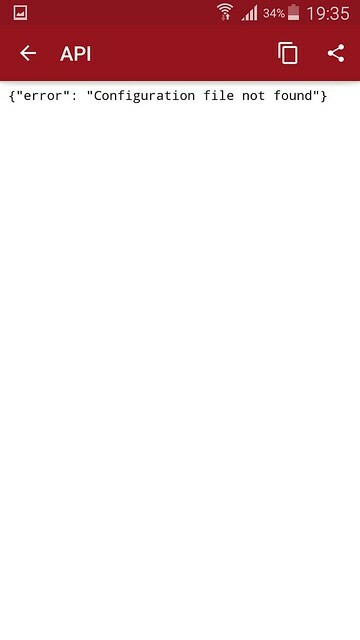 If at this point you click API or Click Update and then click API you get the following error. This action should be restricted in the App.The groves are not very well organised making to difficult to find things. I could not find the LED one that i have. So, went for the Relay as in the end i needed a digital output. Also added a switch just in case. 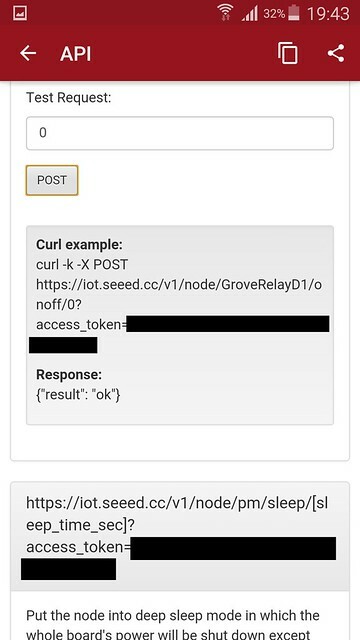 Now once you click Update the App configures the Wio Link and enables a set of API to control the groves. I am not sure what it does here. Uploading the code from phone to the grove does not seem to be happening, maybe they enable/update some flags or a look-up table. Just Guessing ! 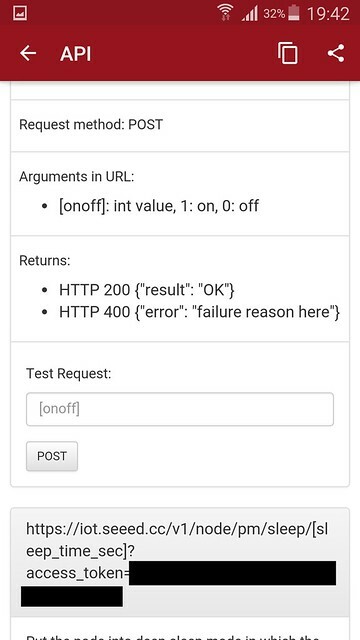 Now Lets see how the API looks like. The best thing is that they provide the ability to make requests from the App itself. This comes handy to test things quickly. Here i send 1 to the Wio Link in hopes to turn the LED on. Now the LED Off Case. I send 0. I just love the simplicity and fun of working with the WioLink. Truly fantastic what Seeed is offering at this price. They have to work a bit on the App as it crashes often. Rest all is in place. Lets see what more can we build with this !